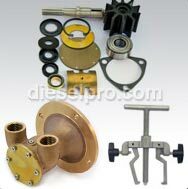 To allow your engine to run its smoothest, it’s important to have the compatible parts. 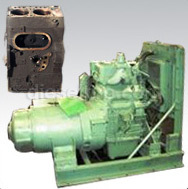 The type of parts that you need depends upon the model of engine that you have. All parts aren't compatible with every engine type. 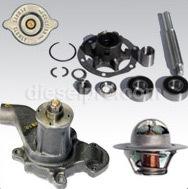 To make sure that the parts that you purchase will work with your 2-71 engine, make sure that you shop within the 2-71 Detroit Diesel replacement parts category. 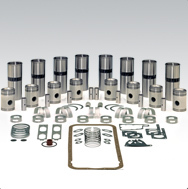 Our 2-71 engine parts include camshafts, starters, fuel filters, connecting rods, and much more. The reason why it's so important to make sure that you put the right parts in your engine is because if you put the wrong parts in it, then you could end up causing a lot of damage to the internal mechanisms of your engine. Even if your engine seems to function fine on the surface with the wrong parts in it, a lot of damage could be occurring internally that will only cost you more time and money to fix in the long-run, creating your more hassle and investment than you probably bargained for. To ensure that your engine is fixed properly the first time, make sure that you get the appropriate parts. If you're not sure what needs to be replaced on your engine, look through our troubleshooting guide that can help you determine just what's wrong with your engine and what the best possible solution would be. Here at Diesel Pro Power, we cater to mechanics, owners and operators of diesel engines, no matter whether those engines are automotive or industrial ones.